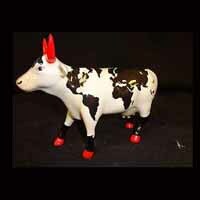 Mercator | CowParade Retired Figurines | One Price Low Flat Shipping! 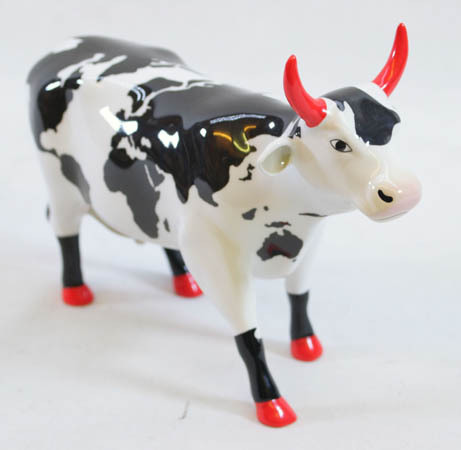 From the CowParade London Exclusives Original 8 Collection, Mercator. Featured at the the CowParade London 2002 exhibit. Made of ceramic. Measures 4" x 6"
This out-of-production, retired cow serves as a black and white map of the earth's continents. The orange painted horns and hoofs add a nice color contrast. Brand new, mint cow in box.